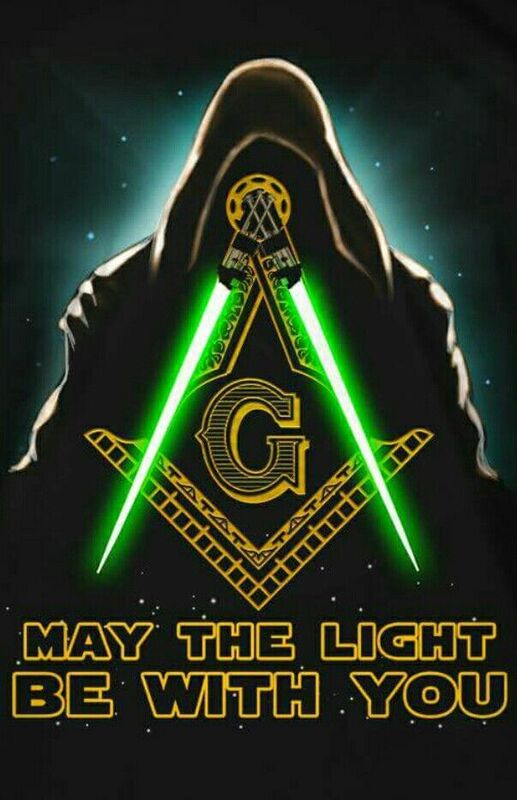 I'm not saying that George Lucas borrowed Masonic ideas, though he may have. I'm saying that there are certain ineffable truths which speak to the human soul to which both Star Wars and Freemasonry allude. We will explore five such allusions. When we first meet Anakin and Luke we learn that they are both very mechanically inclined. Anakin builds C-3PO from junk parts. Luke repairs him. When we first see the droid he is without skin. R2-D2 comments that he is naked. When he finally gets skin, it is tarnished brass. Later in the story, he receives gold skin as a gift from Padme. The Hiram that we meet in the Bible (1 Kings 7:13-14) is the son of a widow sent to cast the bronze furnishings of the temple. In 2 Chronicles 2:13-14, he is said to be, "skilled to work in gold and silver, bronze and iron, stone and wood, purple and blue, fine linen and crimson, and to make any engraving and to accomplish any plan which may be given to him..."
The monad or point within a circle has always been a symbol of the creative principle. The Death Star mirrors this although it is illustrative of the destructive principle. How can one symbol mean two different things? In 1 Kings 8:63 we learn that 22,000 oxen and 20,000 sheep and goats were sacrificed to dedicate the temple to the lord. The Death Star was to designed to serve as a symbol of the strength of the Empire. It was employed to sacrifice planets in the service of maintaining order in the galaxy. Are the unfinished temple and the unfinished Death Star two sides of the same coin? George Lucas has gone on record proclaiming Anakin as the hero in Star Wars. He is a hero in the tragic sense. He earns redemption through sacrificing himself for his son. Where is the parallel to Freemasonry? Preston included many literary allusions in the lectures. Among these is a reference to Hamlet's famous soliloquy. Hamlet is one of the best known tragic heroes in literature. In Freemasonry we see the broken column as a symbol of the fragile state of our mortal coil. In Star Wars we see this symbol in the use of the bacta tank. Both Darth Vader and Luke are seen broken and floating in the healing fluid. Is this a symbol of our humanity? George Lucas was influenced heavily by the work of Joseph Campbell who is the author of a book called, "The Hero with a Thousand Faces". After reading this book Lucas intentionally structured Star Wars as a monomyth or hero's journey. What makes Star Wars interesting is that it is hard to identify just one hero or journey. There are multiple heroes each at different points in their journey. The same can be said for Freemasonry. Throughout the three degrees, reference after reference is made to heroes from history and literature. However, the individual lodge, better than any ritual, represents this principle as we the Masons within it are all on our own hero's journey. 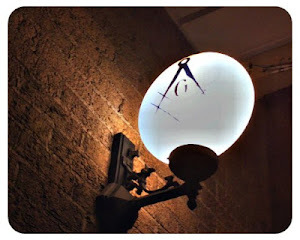 At different times in our Masonic career we are the neophyte, the mentor, and the Master. Whether or not Lucas or Preston intended any of these allusions is immaterial. All that matters is that these allusions speak to us and help us to better understand the world through understanding ourselves. RWB Michael Jarzabek is a Past Master of Brigham Lodge in Ludlow, Massachusetts. He is a PDDGM of the 28th Masonic District. He currently serves as Chairman of the Lodges of Instruction Committee for the Grand Lodge of Masons in Massachusetts. Comparing the unfinished Solomon's Temple with the unfinished Death Star is a ridiculous example of confusing good and evil.